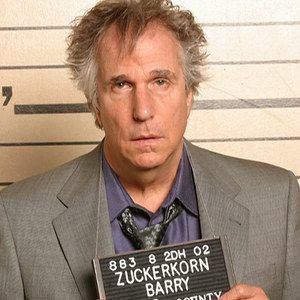 Henry Winkler Returns as Barry Zuckerkorn in Arrested Development Season 4! Don't fret, it's official! Henry Winkler will be returning to reprise Bluth family attorney Barry Zuckerkorn when Arrested Development returns for Season 4 on Netflix in 2013. The iconic TV actor will be appearing in a number of episodes throughout this new season. Here's what he tweeted from the set. I AM SUPPOSED TO BE MEMORIZINGan ARRESTED DEVELOPMENT scene with MAYBE for today ...dont tell anyone i was hereOK????? Arrested Development Season 4 doesn't have a confirmed launch date just yet, but it will be arriving sometime in the spring. Henry Winkler currently has a recurring role on the Adult Swim comedy Children's Hospital. In other Arrested Development news, Tony Hale tweeted out his return to the series with this photo.